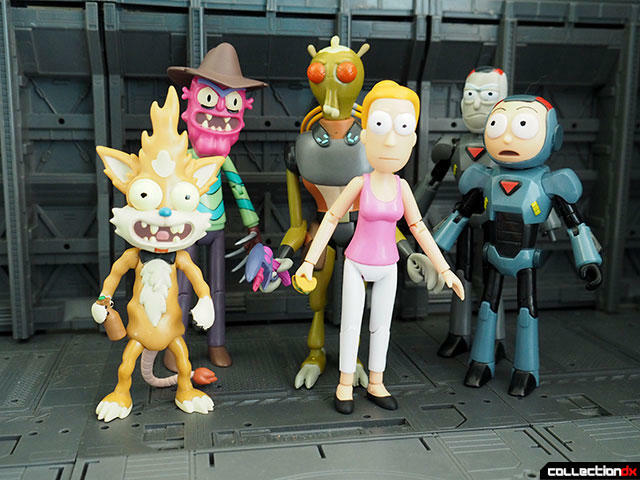 Home » Funko » Rick and Morty Series 2 figures from Funko! 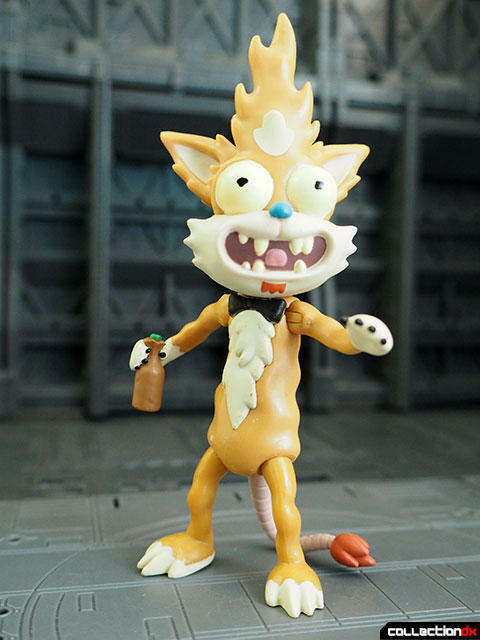 Series 2 of Funko's 9POA Rick and Morty Action Figures feature essential characters and fan favorites from the hit cartoon. 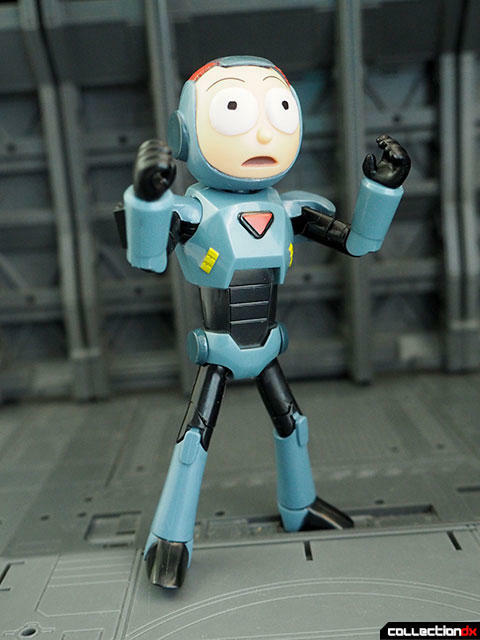 I have to admit that I passed on the first series of Rick and Morty figures from Funko. SOmething about the look just didn't grab me, despite my love of the show. However, when Funko sent along Series 2 for review, I was convinced I had to go back and track down Series 1. These have to been seen out of the package to be appreciated. 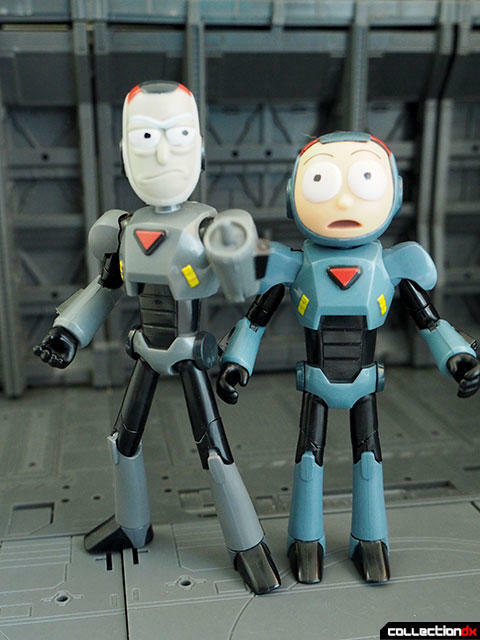 Series 2 includes Rick and Morty from the "Look Who's Purging Now" episode, Summer from "Get Shwifty", Scary Terry from "Lawnmower Dog" and Schwanchy from "Ricksy Business". 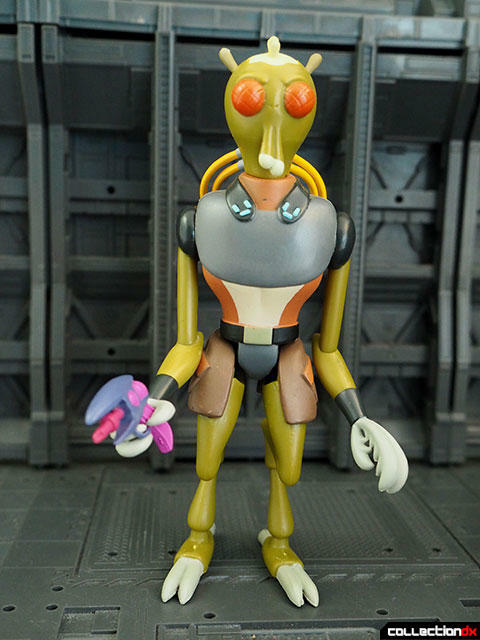 In addition, each figure includes a part for a Krombopulus Michael build a figure. Let's run through each figure. Click on the headers to see more photos of each character. Morty is geared up for the purge, but he does not feel good about it. 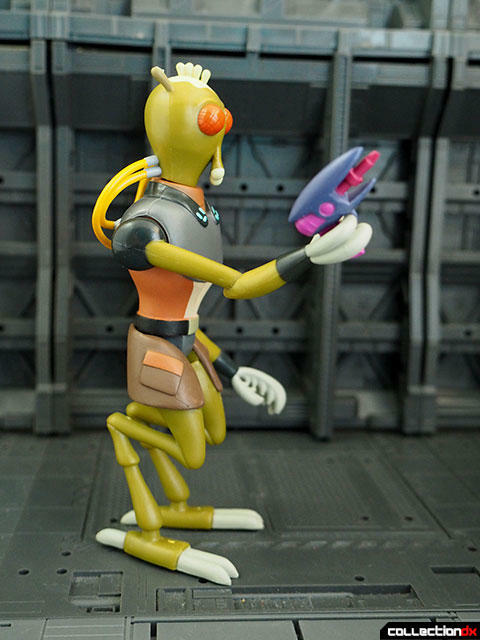 This figure comes with no accessories, but it does come with a part for the build a figure. The figure, like all in the line, is made out of a hard, glossy plastic. 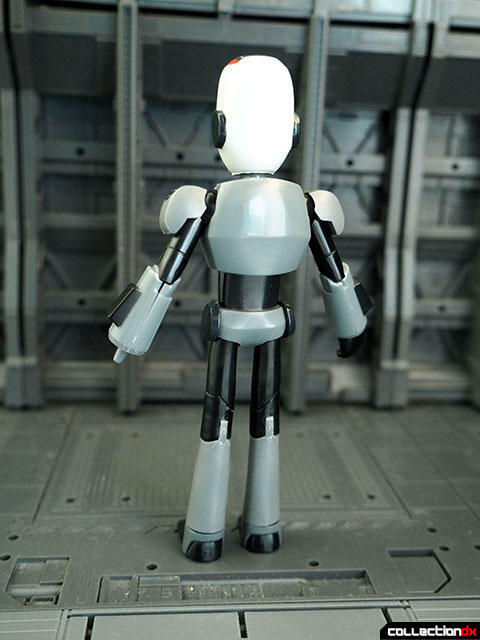 Joints are tight but movement is somewhat limited. 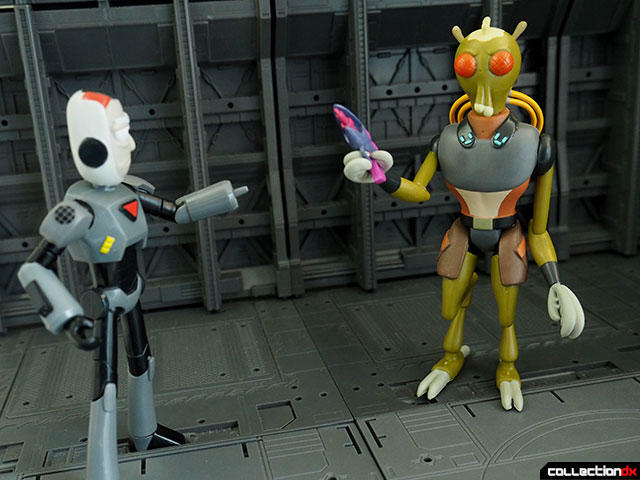 For example, there are no ankle joints, which makes him difficult to pose without support. 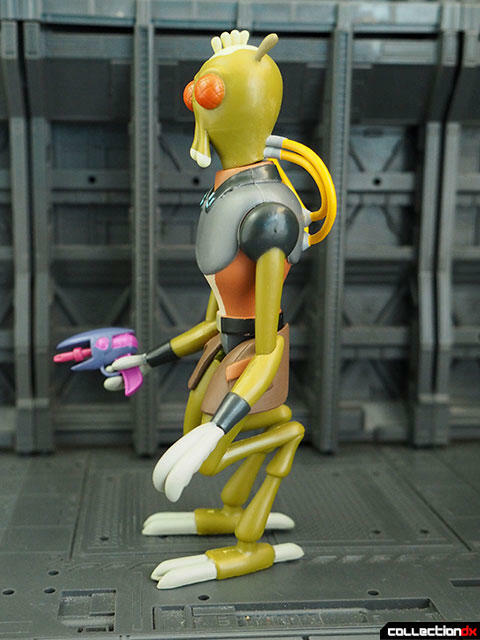 Note that there are lines on the arms and legs that look like swivel joints but they are not. Please don't waste time trying to free up the non-existent joints like I did. 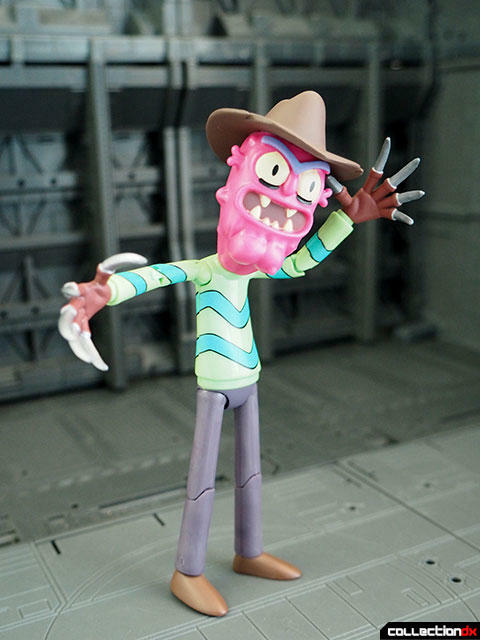 Rick is a mostly different sculpt from the same episode. He's geared up in his purge suit and has the same articulation. In this instance, Rick's left hand has been replaced by a cannon. I'm a bit disappointed we didn't get Arthricia in her purge suit, but maybe next time. 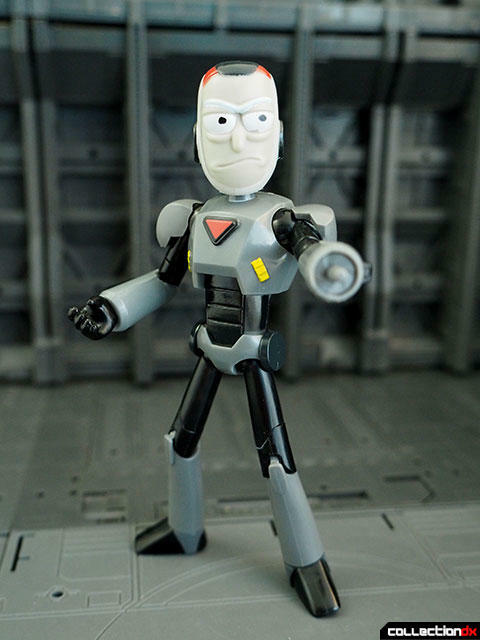 Rick is packaged with the right arm for Krombopulus Michael. 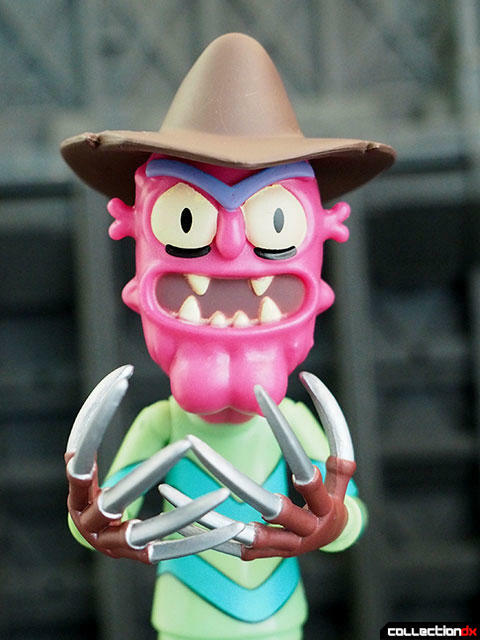 Scary Terry is a Freddy Krueger type character from the Lawnmower Dog episode. Despite not having any accessories, he's probably my favorite figure of the set. 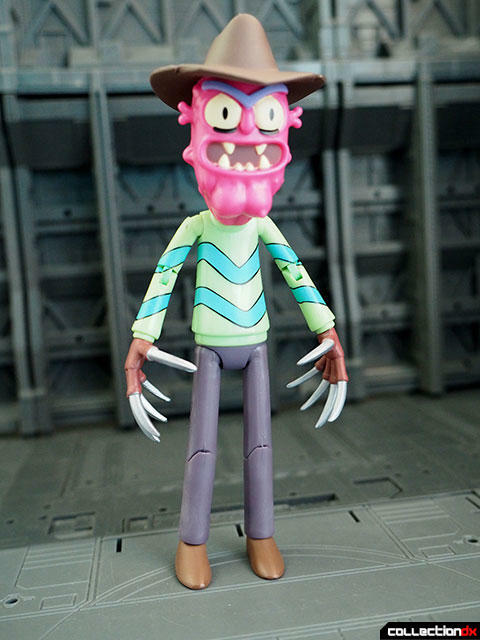 He's just a well-made action figure with a very cool design. 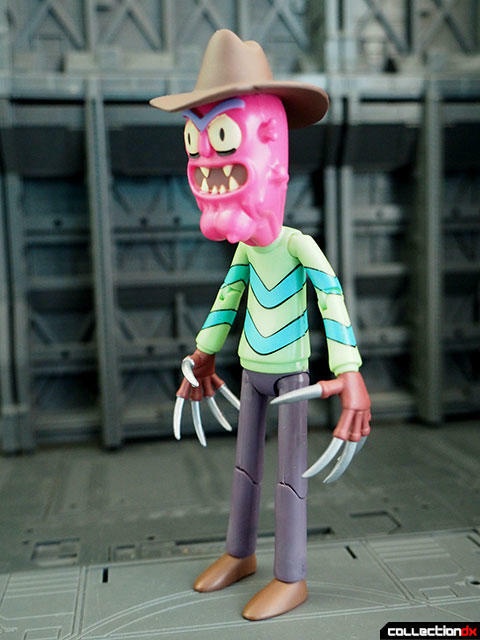 Scary Terry comes with the right leg for the build-a-figure. Series two brings the debut of another member of the Smith family - the eldest daughter summer. 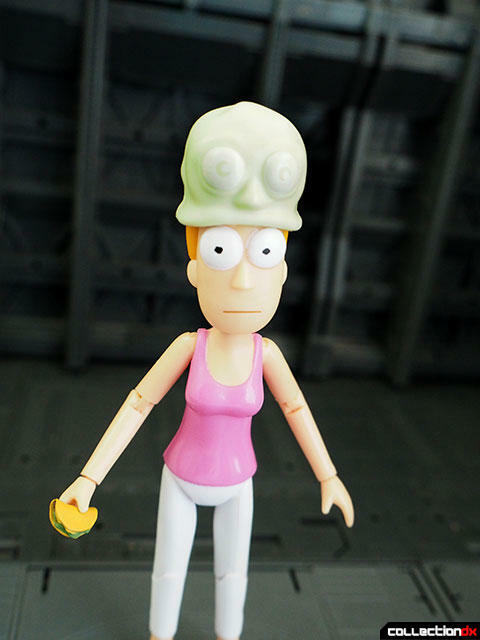 Summer herself is a pretty basic figure, but she comes with a taco and a Giant Head hat as seen in the Get Shwifty episode. 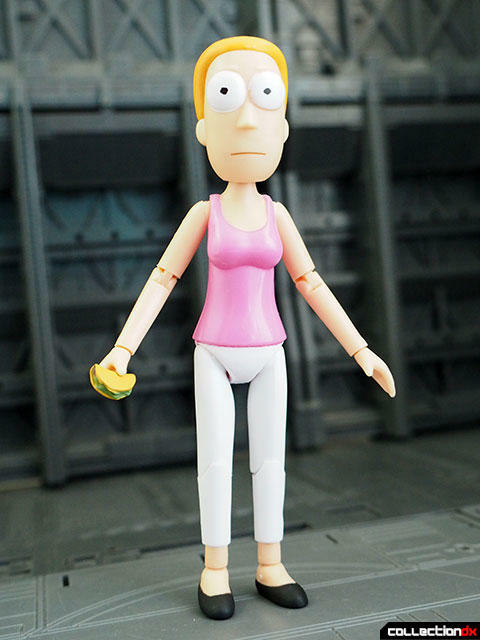 She also has the left leg of the build-a-figure. 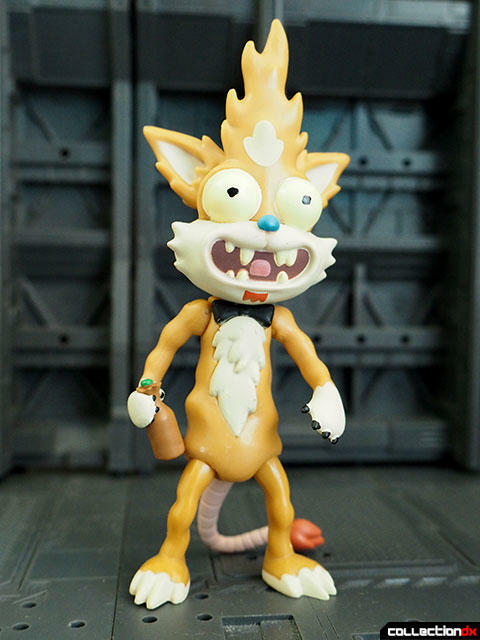 Squanchy is Rick's drinking buddy from Ricksy Business but he's basically an anthropomorphic alcoholic cat. He comes with a bottle of booze and the body for the build-a-figure. 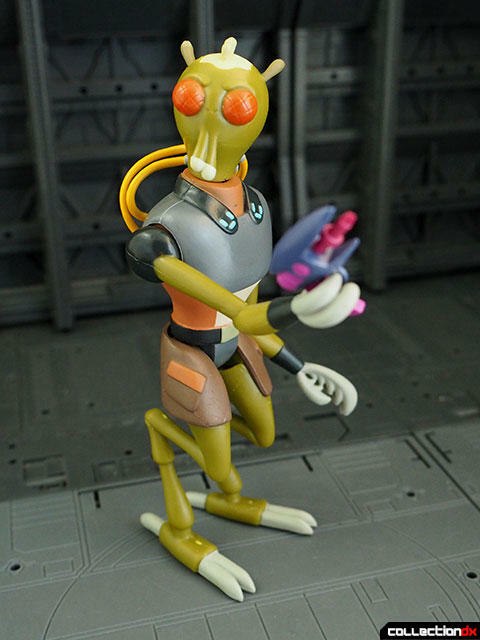 Krombopulus Michael is an assassin who appears in the second episode of season 2, Mortynight Run. 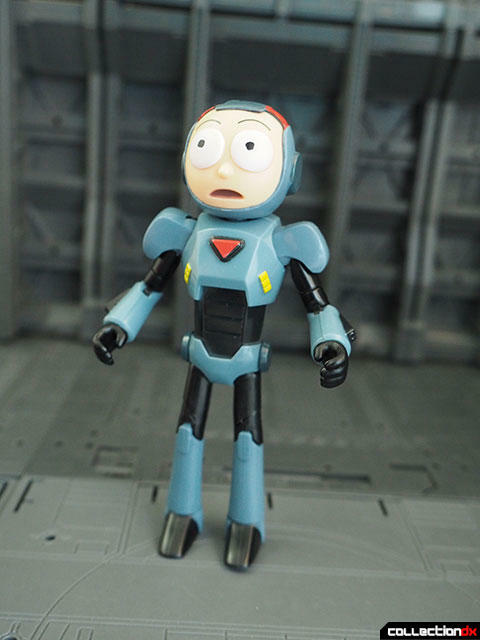 He's Rick's best customer until Morty kills him to save a fart creature. The build-a-figure is rather hard to assemble, requiring a significant force to get them to plug securely into place. 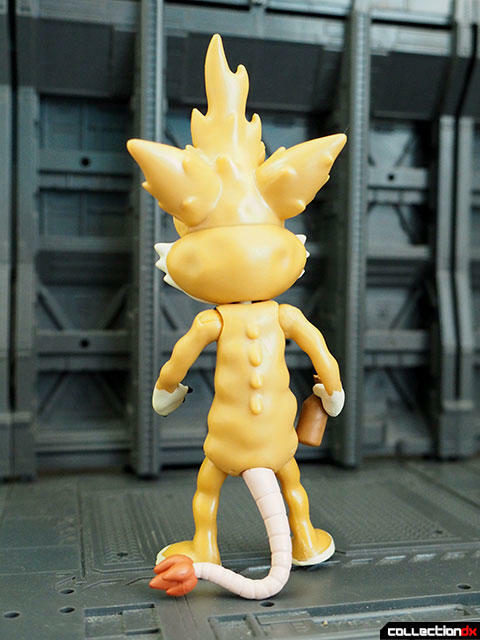 Once assembled though, he's the tallest figure in the set and the only one who comes with a weapon. 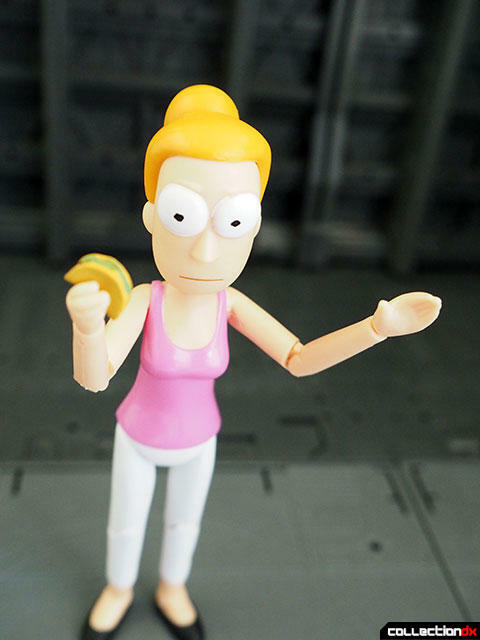 Yes, the build-a-figure has a weapon, but neither Rick or Morty do. Thanks again to Funk for these review samples, and watch for these to be on sale soon!